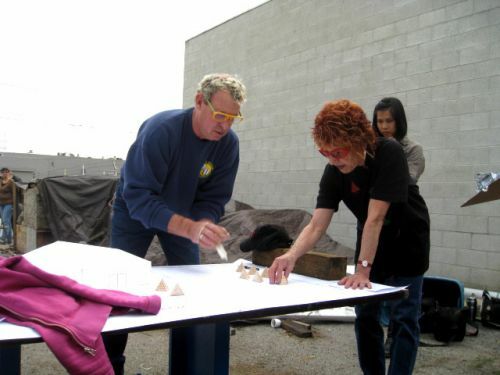 Disappearing Environments test runs underway with Judy Chicago, Materials & Applications, and members of the community. 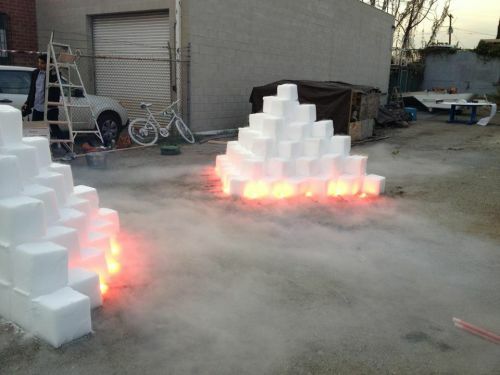 Disappearing Environments, originally produced by Judy Chicago, Lloyd Hamrol, and Eric Orr in 1968, will be reactivated and reinterpreted at ALAC by Judy Chicago and Materials & Applications. 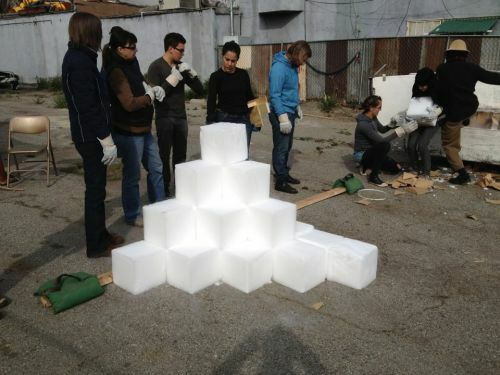 Twenty-five tons of dry ice formations will shroud the fair entrance in fog until the piece ultimately vanishes. This event will culminate at dusk with an illumination and flare performance. 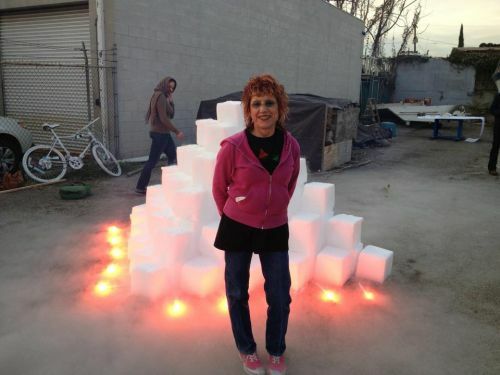 In 1968, Judy Chicago, Eric Orr, and Lloyd Harold constructed two publicly sited dry ice environments in Century City, California. The Disappearing Environments were as much performances in their creation as they were temporary sculptural interventions into the consumer landscape rising around it. The installation served as a poignant conceptual commentary on the rapid commercial development that was transpiring citywide, demanding a critique of the rise in consumerism, and the monumentality of the architecture that ensued. The critical feminist underpinnings of Chicago’s practice emerged in Disappearing Environments, providing an impetus for dialogue on the potential for a disappearing patriarchal society. 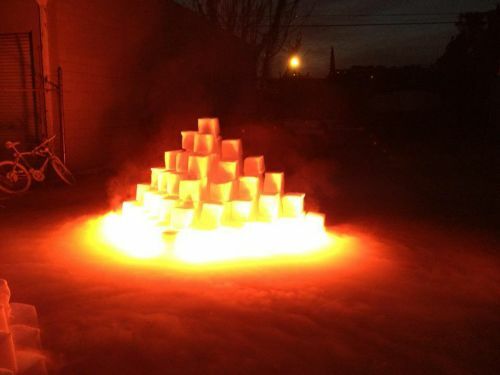 Flare Performance: Thursday, January 19, 5:45pm–6:45pm Admission: Free; no reservations required.